A carbon dioxide sensor, also known as a CO2 sensor is a sensor for the measurement of carbon dioxide gas level. The most common technologies used for CO2 sensors are infrared gas sensors (NDIR) and chemical gas sensors. Many application measures indoor air quality using a CO2 sensor. Carbon dioxide does not have smell or colour. For factory production that releases by-product gas like the carbon dioxide gas, CO2 sensors act as a safety sensor to prevent production workers from health hazards due to lack of oxygen. There are more industrial applications. Flexible CO2 sensor platform designed to interact with other microprocessor devices. 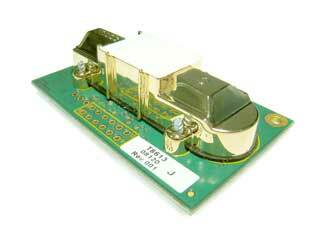 Check out this T6613 sensor documentation here. For USB connectivity to this sensor (virtual serial communication version), you need to buy a USB to UART adapter cable for communication. Please contact sales@pic-control.com for further information. You can write a software program on your computer using Java language, C#, C++, etc… to interface to this sensor and read the CO2 gas reading. Contact PIC-CONTROL for further information, or buy this CO2 Carbon Dioxide Sensor online at PIC-STORE. Special Offer, limited stocks only!!! 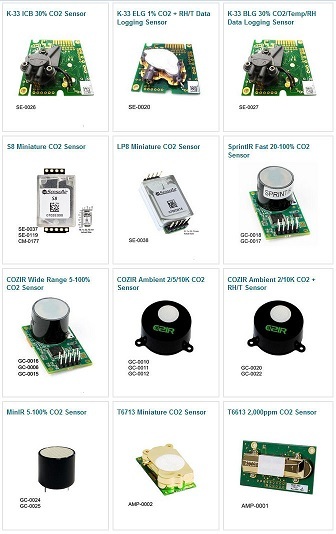 Contact PIC-CONTROL for a custom sensor data logger for your carbon dioxide monitoring.